my game keeps freezing and not unfreezing. the radio and water are unfrozen but my sims are. I'm playing in Riverview and I do have a lot of mods. the whole family I'm playing with is made up of custom characters the house they live in too. any help? Re: Game keeps freezing up! If that alone doesn't help, please run a dxdiag on your computer and attach the results to a post here (use the Browse button). The information it contains will help narrow down the list of potential sources of the issue. Please also list the packs you have installed. Well the good news is it worked but now my family is disappearing when they go to work did I do something wrong?? @deadmemes3 You didn't do anything wrong by deleting the cache files I listed. The game would have regenerated them when you loaded again, and this time, the caches wouldn't be loaded with stale data. But given the current situation, I'd really like to see a dxdiag on this computer (as linked in my previous post), as well as a list of the packs you have installed, and the world in which you're playing. @deadmemes3 When you run the dxdiag, there's a button to save the information as a txt file, which you can then attach to a post here. The photo you provided only shows part of the information I wanted to see. So if this next step doesn't fix the issue, please run another one and share the entire file here. Since your computer has 8 GB RAM and a strong processor, though, some of the potential issues can be eliminated. (It's also good that you're playing in Riverview, a world that doesn't cause any issues on its own.) In fact, your sims might just need to be hard reset. Without mods, the only way to do this is to move them out of their house and back in via Edit Town. If you want to be more thorough, you can evict the sims, save their house to the bin, bulldoze the lot, replace it with its bin copy, and move the sims back in. If you do all this in one Edit Town session, without saving the sims and replacing them with their bin copies, they'll keep their jobs and relationships but lose their promised wishes and opportunities. 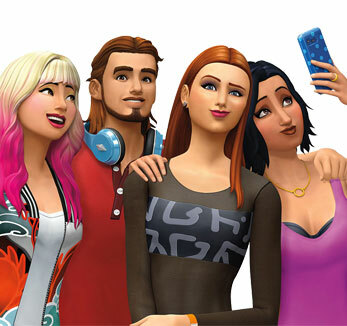 After the sims are back in their house, use "save as" to rename the save (so you have a backup), then quit, then delete your cache files, and reload to see whether this has made any difference. @deadmemes3 Yeah, the stuck pet adoption scenario is a menace. But since you have MC already, there might be a way to get out of it. Click on an occupied house or its lot tag and select NRaas > MC > Make Active. (You can also click on a particular sim and select MC > Make Active to switch to that sim's household.) Then go through the eviction process for the original family, complete with bulldozing and replacing the house, and reset the town again afterwards. Quit, delete your caches, reload, do another town reset just for good measure, and switch back to the original household. If this doesn't shake things loose, then you probably need to revert to a previous save. Unfortunately, your only other option might be to save your sims to the bin and move them to a new save. Hopefully, you'll at least be able to reach Edit Town after you've switched active families.